A nursemaid's elbow is a common elbow injury seen in young children. The injury causes a subluxation of one of the bones (the radius) at the elbow joint. Subluxation means the bones have slid out of proper position. The nursemaid's elbow injury usually occurs in children age 5 or younger. A nursemaid's elbow can be caused many ways, but the classic mechanism is a sudden pull on a young child's arm. 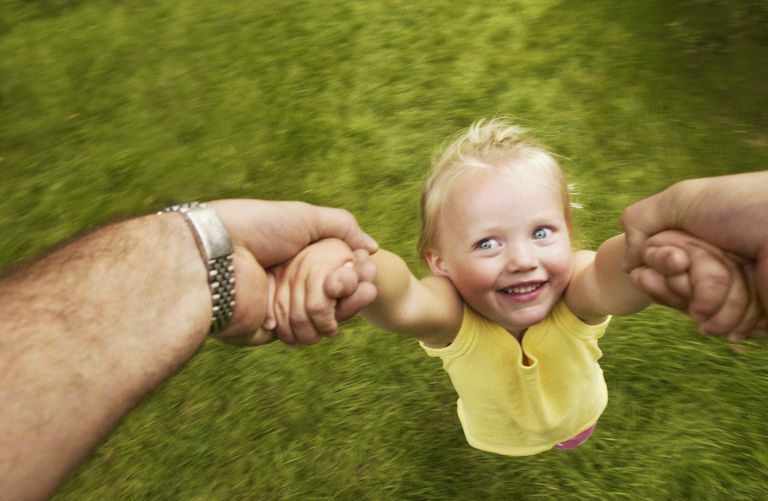 For example, an adult trying to prevent a child from falling may suddenly pull the child by his or her hand. If the arm is in a certain position, the radial head is susceptible to subluxation. This injury can also occur when an adult or older child swings a young child around in the air held by their arms alone. A diagnosis of a nursemaid's elbow is made by x-ray showing the radial head out of position. It can be difficult to make this diagnosis as children's bones are not fully formed, and seeing the subluxation can be difficult. X-rays of the uninjured elbow may be obtained for comparison. Other tests such as an ultrasound can be helpful if the diagnosis is unclear. Your doctor will also consider other problems that can cause similar symptoms including elbow fractures and congenital radial head dislocations. The subluxated radial head can usually be placed back into position by your physician. Sometimes light sedation is used for comfort, but often this is not necessary. When the radial head is repositioned (called a reduction), your doctor can usually feel it 'pop' back into position. Children will usually feel an immediate improvement in pain. The maneuver is performed by rotating the forearm while holding pressure on the radial head while bending the elbow. If the injury is treated quickly, and if this is the first radial head subluxation in the child, then usually immobilization is not necessary. In some cases, a splint may be applied for about a week. If multiple radial head subluxations occur, a cast may be applied for a period of time to allow the ligaments around the elbow to heal. Parents need to be aware of the limits of their children's body; they are resilient, but they can be hurt! Try not to lift your children by the end of one arm--sudden pulls of the hand or wrist can cause a radial head subluxation in young children. "Nursemaid's Elbow" American Academy of Orthopaedic Surgeons. February 2014. What Are the Symptoms of Food Poisoning in Children?